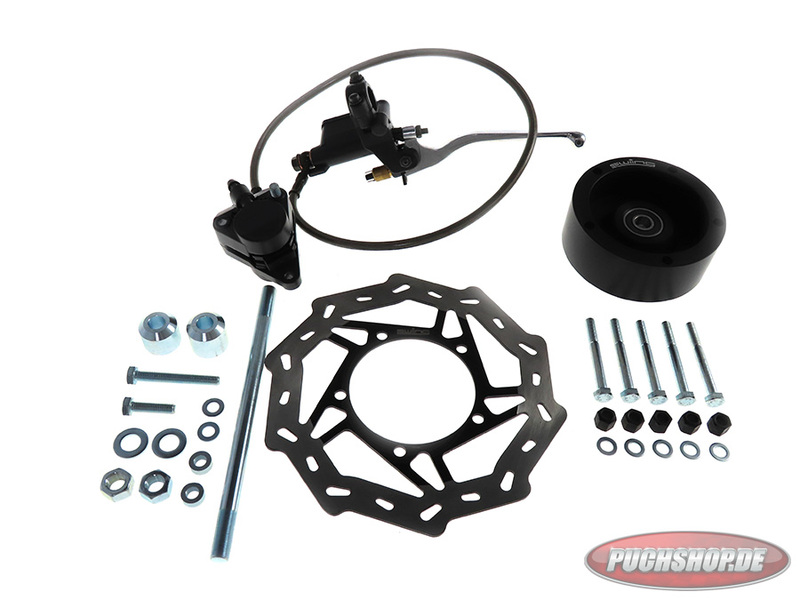 First disc brake system for your Puch moped, which can be mounted without adjustments! All parts are of the highest quality and fit perfectly. 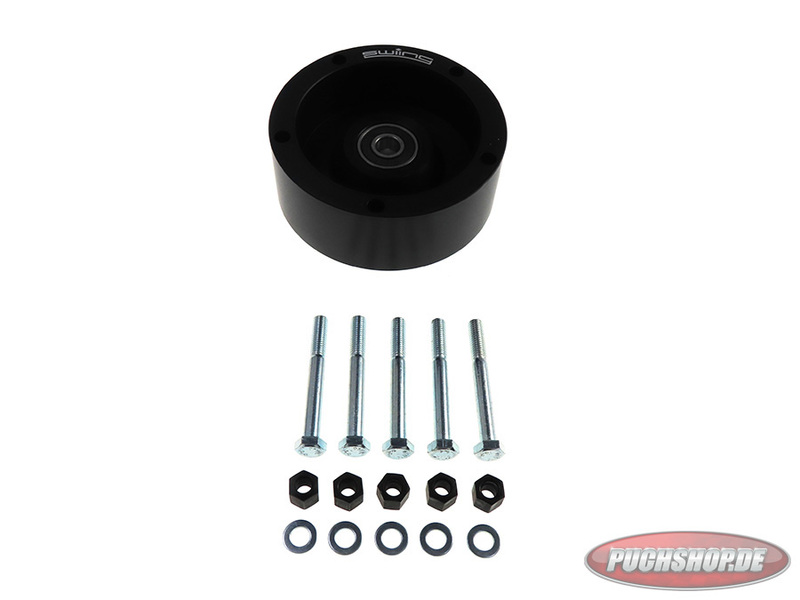 The parts are designed for the 5-star rims for Puch mopeds. 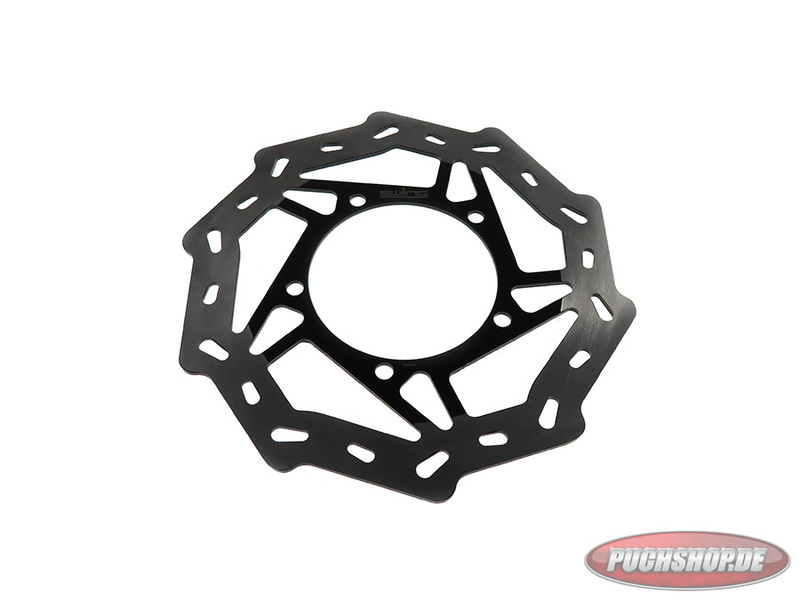 You will find the corresponding rims at the related products. The brake caliper incl. 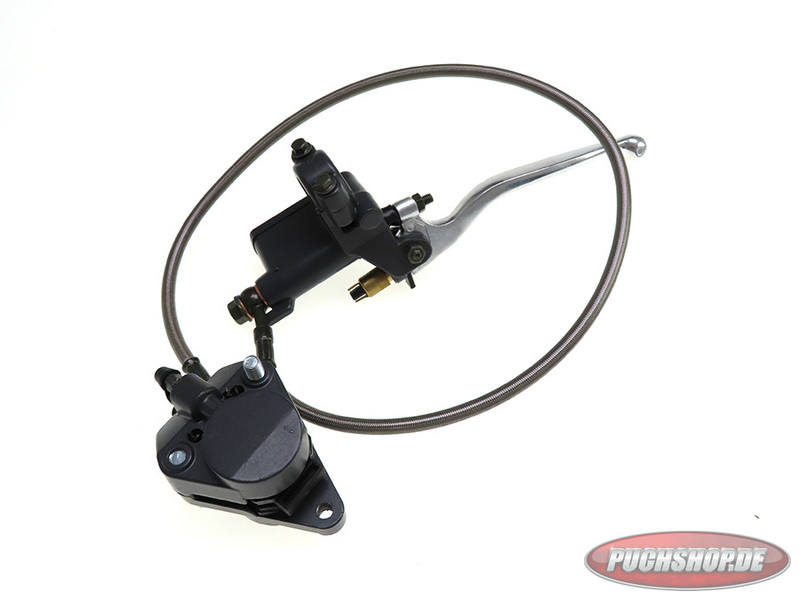 brake lever are filled and pressed with brake fluid so that it only needs to be mounted. The steel brake hose is 70 cm long. Pay attention when choosing the handle bar. All screw connections must be secured with Loctite, found at the related products. The two spacers are mounted in the direction of travel as follows: left: 26.25 mm long / right: 23.5 mm long.